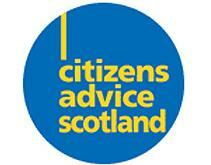 The head of Citizens Advice Scotland (CAS) has warned bureau managers of job losses in the wake of a £600,000 legal aid board funding cut. CAS chief executive Derek Mitchell said the proposed cut would lead to the loss of at least 25 staff in 15 bureaux across the country and thought the actual figure would be “significantly higher”. He wrote that following the announcement of the cut he had contacted Jamie Hepburn, minister for business, fair work and skills. Mr Mitchell was told the funding decision would not be reversed. Willie Rennie, leader of the Scottish Liberal Democrats, said: “These Scottish government cuts pose a direct threat to services which people desperately rely upon for sound, free and independent advice. “Housing, employment law and benefits can be enormously complex and Citizens Advice services are vital to helping people navigate such processes. The loss of dozens of staff would be devastating.